Everyday we strive to find ways to simplify our busy lives. We learn multi-task and hire services to do chores for us. When it comes to technology, one of the easiest ways to get things done is to talk into our mobile devices. We “talk” our text messages and ask our phone to dial someone’s phone number. We even search for businesses and things we need using our voice. In the world of search engine optimization (SEO), it is an important strategy that is helping SEO companies in Philadelphia bring their clients’ websites to a whole new level. Along with other traditional aspects of SEO, optimizing for voice search is becoming necessary. Website owners will need to better understand how people reference their business when speaking. They need to know that exact words customers are likely to use when looking for them and to make voice search work for them, will need their site to be fast and mobile-friendly. Hiring an SEO company to help with these features is crucial to make sure all aspects of their online presence are working in a way that is going to enable customers to find them, not matter what medium they are using to search. Owner and founder of We Rock SEO says, “Whenever I am out with family or friends I always ask Siri where to find the best pizza or best Italian restaurant. Voice search is essential for the food industry. As programs like Siri, Cortana and Google Now are becoming more popular, and their programming is becoming more refined, it is important that search engines learn to interpret phrases. Google is aware of the boom in voice search technology and is working to make their search engine optimization include voice search as well as traditionally typing a search. It’s obvious that context and conversational search are only going to be more important as voice search continues to evolve so SEO needs to evolve as well. If you own a website for your business and work with an SEO company, you are going to want to make sure that they have your back on this new concept. They should be incorporating voice search strategy into your website. That means continued excellent content, written in a conversational tone. They also need to understand that typing a query and asking a question into voice search are two entirely different things. They need to adapt to both types of users. When it comes down to optimization strategy, your SEO professional should have a plan in place that will allow your website to be mobile-friend first and foremost. Then they need to have content in place that is not only going to allow someone typing a keyword search into a search engine find you, but also have that content voice search friendly so that they can find you using both methods. For those of us who grew up in an age where technology couldn’t talk back to us, younger generations feel tech savvy asking questions into voice search and expecting optimal answers. They ask for directions or call someone. They even use voice search to do homework and give them answers. 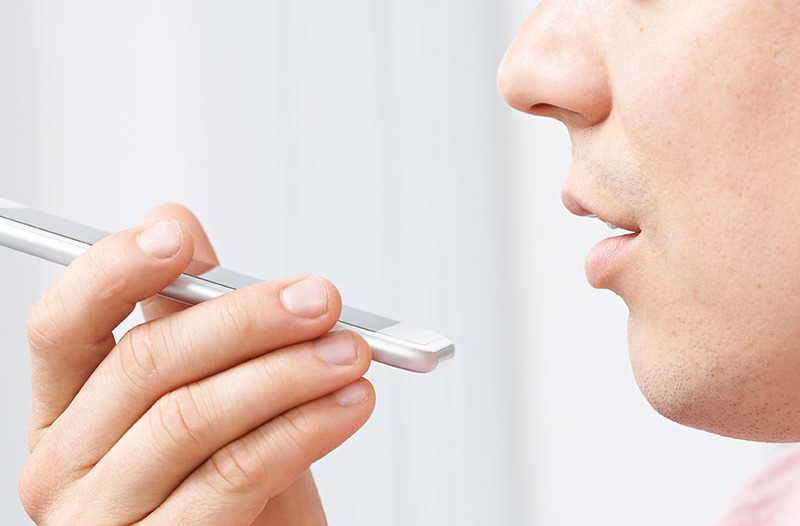 Voice search in clearly on the rise and a trend in the SEO industry that is here to stay. We Rock SEO can help you with your SEO strategies, including voice search. Let us show you what we can do to put your company on the cutting edge of technology.